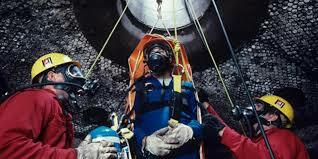 This confined space rescue training is a premium course designed for those wanting to get involved in standby rescue, become a rescue technician or develop existing rescue skills as a dedicated team member of an Emergency Response Team (ERT). We MAX the course at 8 students so we can give individual attention as needed, to enable you or your team to be confident and proficient as members of a rescue team. If you’re serious about rescue, this is the course for you. It will be hard, intense, make you think on your feet or on your belly. You know what they say good training isn’t cheap and cheap training isn’t good. Breathing apparatus training covers the skills and knowledge required to operate and maintain breathing apparatus and equipment in an irrespirable atmosphere, as defined by the Australian Standard AS/NZS 1715:2009 Selection, use and maintenance of respiratory protective equipment, which includes SCBA. The nature of rescue work. A wide range of rescue and environmental situations, which may include industrial, rural, bush and extreme environmental conditions. Supervisor and employee responsibilities for rescue. Rescue from outside the space. There are no prerequisites for these units.